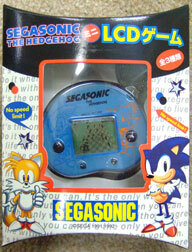 Old or new, big or small, all of the Japanese Sonic themed electronics will appear on these pages. This can include battery powered things, plug in items, vidogames & accessories (includes LCDs) and anything else that runs off of electricity that isn't a normal console or video game. 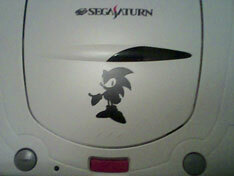 This is some kind of specially Sonic branded Saturn console. 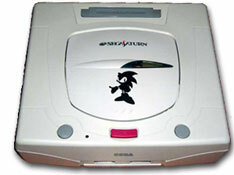 It was a store exclusive at Japanese Toys R Us stores when the Saturn was first released. Have an iphone? 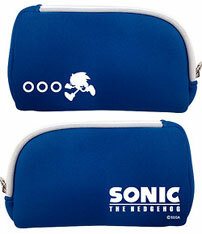 Why not add a cool Sonic themed case for the exterior! 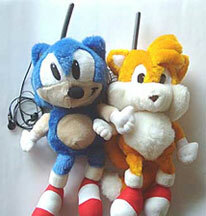 These are the official Sonic iphone accessories. 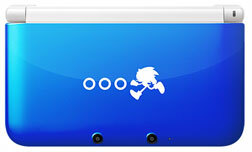 You can choose from CG running Sonic, new Sonic art w/star, simple Sonic eyes & logo or CG gesturing Sonic on gray. 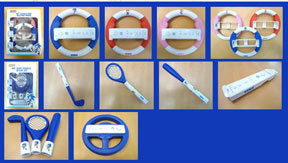 Each one should be about 2100 yen , & is available online ...but only if you're in Japan. These are some great & stylish cases! 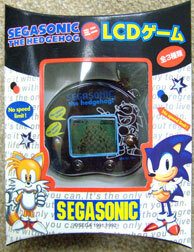 Photo by Sega, discovered by Taaron. Is a yoyo an electronic item? 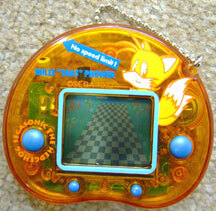 It is when it lights up and makes noises & needs batteries! These are "Sound Flash Yoyos". 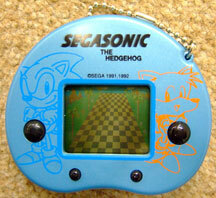 The left is green with whirl pattern & has Sonic & Tails. The right is all red with a ring of stars, & only has a Tails portrait on it. The starburst graphics show them lighting up. But what noises do they make? Photos by SonicTeam. 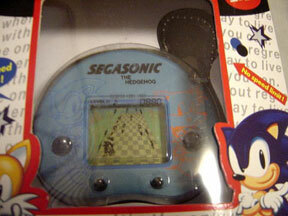 This LCD game appears to be black, and has a white line art of 'classic laughin' Sonic' The yellow speech bubbles say "No Speed Limit". (why 2 that say the same thing? 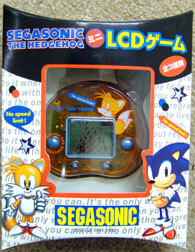 who knows) These LCDs all being the same shape were likely a set, all released at the same time. 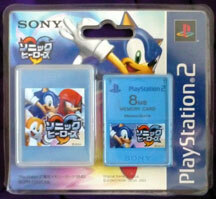 You can see the similar packaging for all of them, with that slightly odd, early, 'thumbs up Tails'. 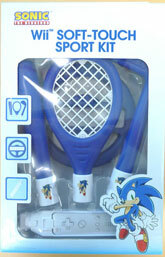 Photo by SonicTeam. This is a full box photo for the game above. Here you can't see the 'screen' (its a sticker to represent what it looks like when turned on) as well, but you can get a better look at the box. 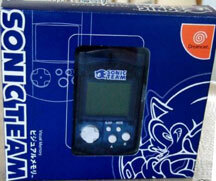 Here's a fuller shot of a Tails themed LCD game. It is clearish-orange so you can see the circuit inside. This also gives you a look at the modernistic box design. Want to learn an easy Japanese word? See the red dot? Three lines is Mi, and 2 lines is Ni...so... "Mi+Ni"="mini!" Now you know. Are these fun to play? What do they do/why were they released? No one yet knows cause they're pretty darn rare. So if you see it on Ebay or somewhere, be sure to buy it! 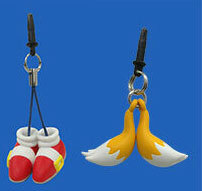 But this gives you a cute uncommon Tails thumbs-up art.